← The Graves Amendment: Does it Shield a Taxi-Cab Company from Vicarious Liability? By Greg Johnson. In an unusual twist, a rental car company insisted it was obligated to pay damages to a third party who was injured by the permissive operator of its rental vehicle and the renter maintained it was not. In Enterprise Rent-A-Car Co. of Boston, LLC v. Maynard, 2012 WL 1681970 (D. Me. May 14, 2012), Enterprise rented a vehicle to Robert Maynard and Maynard executed a rental agreement. Maynard gave the rental to Scotty Beausejour to use for the rental period. Beausejour then caused an accident in which he struck Thomas Webster, causing injuries to Webster. Webster filed a personal injury action against Beausejour, but did not sue Enterprise. Enterprise, which was self-insured, assumed Beausejour’s defense and later settled the claim for $260,000. In addition to the cash payment to Webster, Enterprise expended over $17,000 in attorney’s fees defending the action. Enterprise then sued Maynard. By its terms, the rental agreement required Maynard to reimburse Enterprise for the amounts it had paid in settlement of Webster’s claim. In response, Maynard argued that Enterprise acted as a volunteer in making the payment and was not entitled to recover. 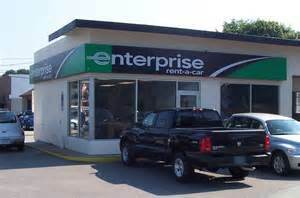 It was undisputed that Enterprise had no vicarious liability for Beausejour’s negligence under the Maine vehicle owner liability statute (29–A M.R.S. § 1652) in light of the Graves Amendment, 49 U.S.C. § 30106. (As noted in previous posts on this blog, the Graves Amendment preempts state laws that impose vicarious liability on rental-vehicle owners. (See “Leasing, Rentals and Vicarious Liability: An Overview of the Graves Amendment”). The court agreed with Enterprise that the Graves Amendment did not preempt 29–A M.R.S. § 1611, but disagreed with Enterprise that it made a difference to the outcome of the case. Although not referenced in the opinion, 29–A M.R.S. § 1611 did not require rental vehicle owners to obtain a policy insuring a permissive user of a rental vehicle (a/k/a “omnibus” coverage). 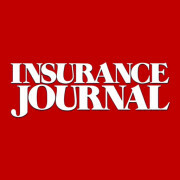 Rather, it only stated that “[t]he required insurance policy or bond must adequately provide liability insurance for the collection of damages for which the owner of a motor vehicle or vehicles may be liable by reason of the operation of a motor vehicle or vehicles subject to this chapter.” (29–A M.R.S. § 1611(5) (emphasis supplied)). Inasmuch as Enterprise had no vicarious liability and the statute it cited did not impose any obligation to insure permissive users against liability resulting from their operation of its rental vehicles, Enterprise was not obligated to defend Beausejour or settle Webster’s claim on behalf of Beausejour. Enterprise acted as a volunteer in making the payment and was not entitled to recover. The rental contract in this case must not have contained any language obligating Enterprise to defend or indemnify permissive users. Most rental contracts (and those I have drafted) obligate the rental car company (whether insured or self-insured) to defend and indemnify permissive users to the extent required by the law of the state where the accident occurred and only to the minimum limits mandated by the law of that state. While this type of language would not have assisted Enterprise in Maine – which apparently does not require omnibus coverage for permissive users — many states do. This blog is for informational purposes only. By reading it, no attorney-client relationship is formed. The law is constantly changing and if you want legal advice, please consult an attorney. Gregory J. Johnson © All rights reserved. 2010. This entry was posted in ADCF Policy, BAP, PAP, Rentals and tagged Auto Insurance, Commercial Liability Coverage, Graves Amendment, omnibus coverage, Rental Car, Rental Car Liability, Rental vehicles, Vicarious liability. Bookmark the permalink.